The Hillside Coin Club is a group of collectors mainly from the Hillside, Illinois, area. Please join us on the first Monday of any month throughout the year--except September when it is usually the second Monday. See the map below for location, directions, and details on our activities. Note: Our Two Cents Worth newsletter is now online. There is a link to the newsletter index in the table of contents. The members stopped during their 400th meeting September 2015 for this group picture. They welcome you to come and join them for any meeting on the first Monday of the month. 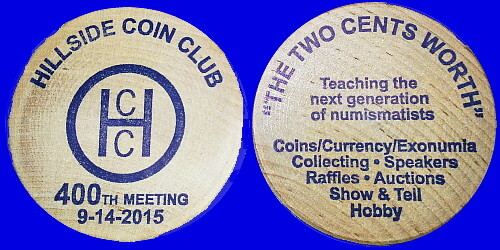 Each member of the club attending the meeting received one of these HCC 400th meeting souvenir wooden handouts. Current Gold and Silver prices. 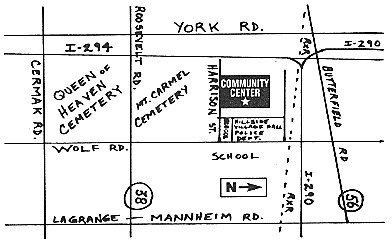 We meet monthly at 7:00 pm on the first Monday at the Hillside Community Center at 1 Lind Street, Hillside, IL. That puts us within fifteen miles of Skokie, Morton Grove, downtown Chicago, Arlington Heights, Schaumburg, West Chicago, Naperville, Bolingbrook, Lemont, and Oak Lawn, an easy Monday evening drive for many. 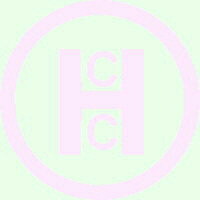 Our email address is hillsidecoinclub AT gmail.com (replace AT with @ and leave out the spaces when sending the email). We are also on Facebook. Search for "Hillside Coin Club". Vice President - Elliott K.
The Hillside Coin Club has been a member of the American Numismatic Association since 1983. Our ANA number is C-122583. There is no fee for Junior members (YNs), those under 18. This document was last changed April 2019. If you have any questions about the club contact the club at the addresses above.